We are enabled to partner with the Kingdom of Heaven and see it released here on earth! The Presence of God within us will bring reformation to the world around us—encountering a loving God! 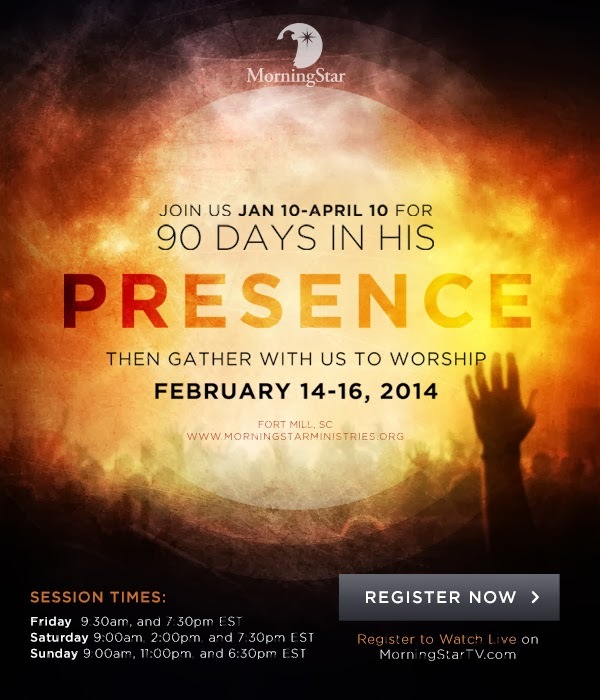 The radiance of His presence will increasingly pour into the spiritual realms surrounding our world…. Simultaneously two events will manifest on earth, they will be the result of one, eternal source. The same increasing presence that causes wrath to descend upon the wicked will cause God's glory to be seen upon the righteous. Jesus has not become the Holy Spirit. It is rather the Holy Spirit who indwells the believer. The Resurrected Jesus is at the Father's right hand and in His glorified resurrected body He will return bodily to the earth. Obviously an indwelling spirit would not need to return from heaven. It is on this basis that some Dominion teachers assert that Jesus can be an on-going incarnation of God in His body (church) upon the earth. Consequently scriptures pertaining to Christ's ruling on earth are often seen as referring the Church rather than Jesus…. MANIFESTATION OF THE SONS OF GOD which is the fullness and glorification of the Church on the day that “Christ is formed in his people”. They are a mighty Army of the Lord (Joel's Army). This is sometimes described as the Birth of the Manchild—i.e. the overcomers of the Church are brought (literally) to “the measure of the stature of the fullness of Christ”, and become the Glorified Christ—the “many-membered Body of Christ” on earth by means of the infilling of the Glory of God…. THE FEAST OF TABERNACLES, understood spiritually as the Harvest Festival of joy and gladness, when the Ark returns to the Living Temple, the glory cloud returns, and Christ appears in the midst of His people. Christ is incarnated in His Body—the Coming of Christ understood as invisible and spiritual (i.e., “The Kingdom of God is within you”). Also known as “The Latter Rain” outpouring of Joel's prophecy—the Second Pentecost in which Christ indwells his entire [corporate] Body, as opposed to the first Pentecost, when he indwelt individuals. As noted earlier, this movement also taught the necessity of the “restoration” of the “office” of apostles and prophets, a facet which is emphasized nowadays by the NAR. This restoration of a hierarchical pyramid of dictatorial power, reigning over both the church and the world, is envisioned as the powerful enforcement mechanism to “reap” (“harvest”) the nations. More will be said on this later. If this sounds similar to the New Age teachings about the “god within” it is because both have roots in Gnosticism. Evangelical postmodern teachers have adopted similar “incarnational” language. Thus, their shared belief about “incarnating Christ” may explain why certain evangelical leaders seem to have no difficulty finding common ground with the current teachers in the IHOP and NAR. Suddenly the world sees Jesus again in the flesh, as He manifests Himself through these thousands of saints simultaneously around the world…. God was manifested in the flesh, in one body [Jesus Christ], then think what it will be when He manifests that same Life through thousands at the same time. These older Latter Rain/MSOG doctrines about the “Presence” would go on to have a second life in the 1980s and 1990s as leaders began to revise and update these teachings for more widespread appeal. Yet, before He appears, while He is near but still invisible, that same radiance of glory will be poured out on “all flesh”…. For as He is in power and glory when He appears, so He is beforehand though unseen! And it is this out-raying Presence which will grow ever more resplendent in the church prior to His second coming. With surge of His glory many things will be quickened on earth…. [W]e who are open and yielded to Christ will watch in amazement as His Presence in us also intensifies and increases…. He will present to Himself a bride without spot or wrinkle…. The church will be beautified with His glory and filled with His radiance before He physically comes for her! …[T]he church at the end of the age is to be given a stewardship, a mandate from heaven. At the bidding of the Sovereign King, we are called to participate with God in the process of divine consummation. Note that Frangipane states that a “Spirit” would come to judge the wicked, and that this same “Spirit” would “inhabit” the righteous. Scripture does not say that a “Spirit” will judge the wicked, nor does it say that the church will be indwelt by a “Presence” to judge the wicked. The Bible specifies that it is “the Lord Jesus Christ, who shall judge the quick and the dead” (2Tim. 4:1). The church is not Jesus. This is yet another teaching that has the effect of corrupting the doctrine of the Trinity. …I am not saying this time of Christ’s Presence will take the place of the rapture; only that it will precede it. Our destiny is not just to carry Christ inside but to reveal the fulness of His glory in this world…. As Jesus was both God and man, so the church is actually the dwelling of Christ in the temple of man. There is not a different Jesus in us than He who dwells in heaven. He is Christ wrapped in glory in heaven. He is Christ wrapped in our human flesh on earth…. It is at this juncture that Frangipane introduces the ominous doctrine that explains the purpose of this “fulness” of “Presence”—“a final cleansing would occur during the last years of the age.” This is a thinly-disguised reference the Latter Rain’s oft-prophesied endtime “harvest.” “Harvesting” the earth is synonymous with the idea of “cleansing” the earth. Those who “cannot accept God’s promises of a glorified church at the end of the age” are categorized with the warning “beware of the dogs.” Lest there be any doubt, he reiterates, “At the end of the age, everything short of oneness with Christ will appear as sin.” Does this mean that sin will be defined as anything short of experiencing this Christ “Presence” within? One can only wonder. These unorthodox ideas would go on to become an integral part of the doctrine of both IHOP and the NAR. The next sections of this article series will examine the evidence. Stay tuned for Part 3. . . .
Due to inclement weather the Presence could not show up and needed to be rescheduled. The Bible teaches that the risen and glorified Christ has a corporeal presence, not on earth, but in heaven. According to the apostle Peter, Jesus Christ “has gone into heaven and is at God’s right hand–with angels, authorities and powers in submission to him” (I Peter 3:22, NIV). The author of Hebrews agrees (Hebrews 4:14; 8:1). Jesus said He was going to that place (John 14:2-3). The Bible promises Jesus’ spiritual presence with believers on earth (Matthew 28:20), but precludes His earthly physical presence until His Second Advent, which will be personal, physical, visible, and public. At the time of His ascension, two men in white assured the disciples, “This Jesus, who has been taken up from you into heaven, will come in just the same way as you have watched Him go into heaven” (Acts 1:11)…. The Scripture is express unto a double appearing or coming of Christ. The first was His coming in the flesh, coming into the world, coming unto His own,—namely, to discharge the work of His mediation, especially to make atonement for sin in the sacrifice of Himself, unto the accomplishment of all promises made concerning it, and all types instituted for its representation; the second is in glory, unto the judgment of all, when He shall finish and complete the eternal salvation of the church. Any other personal appearance or coming of Christ the Scripture knows now, and in this [verse] expressly excludes any imagination of it. His first appearance is past; and appear the second time He will not until that judgment comes which follows death, and the salvation of the church shall be completed…. There shall be a public vision and sight of Him. He was seen on the earth in the days of His flesh: He is now in heaven, where no mortal eye can see Him, within the veil of that glory which we cannot look into…. The present long-continued absence of Christ in heaven is the great trial of the world…. The promise of His coming, recorded in the Scripture, is the ground of our faith herein…. In the continual supplies of His Spirit which believers do receive… is the great pledge of His mediatory life in heaven, of the continuance of His love and care towards the church, and consequently the great assurance of His second coming. 1. 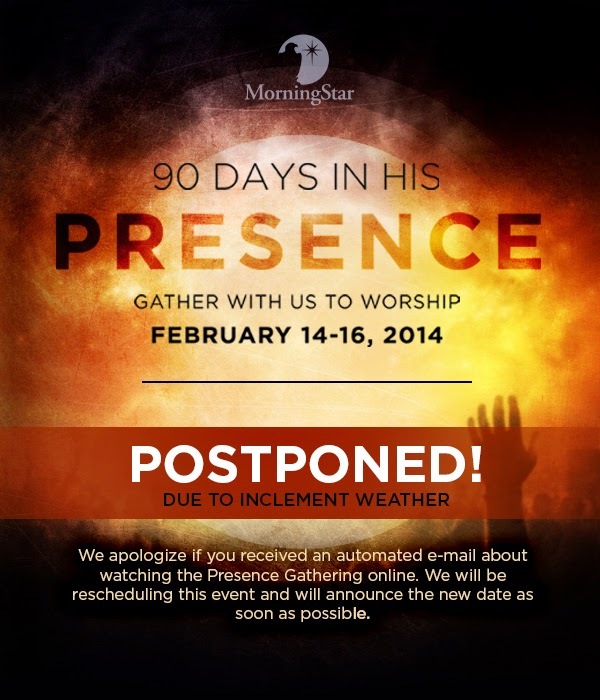 Transcript of a video message that was posted at http://morningstarministries.org advertising a Feb. 14-16 event “90 Days in His Presence,” which was postponed due to bad weather. Note that the original weekend was Valentine’s Day, in keeping with the bridal intimacy theme. Transcribed by Kim Treweek, January 15, 2014. Emphasis added. 4. This article series has been authored by Sarah Leslie with the assistance of both Jewel Grewe and Dr. Orrel Steinkamp, both of whom had firsthand experiences with these teachings. Research assistance, historical insights and theological perspective was provided by Pastor Anton Bosch, Pastor Larry DeBruyn, Dr. Martin Erdmann and Susan Conway. 7. Dr. Steinkamp, “The Restoration of Davidic Warfare/Worship,” The Plumbline, Volume 7, No. 4, September/October 2002. This is a quote from Michael Moriarity, The New Charismatics (Zondervan, 1992), p. 280. 10. Ibid, Dr. Steinkamp. This quote is attributed to Tricia Tillen of Banner Ministries. I am indebted to Dr. Steinkamp for his many hours of in-depth assistance with this writing project. 12. Jewel Grewe, “Joel’s Army: The ‘New Breed,” Discernment Newsletter (Vol. 18, No.3), May/June 2007, http://www.deceptioninthechurch.com/May-June2007.htm The quote in italics from George Warnock is attributed to his book The Feast of Tabernacles, Springfield, MO – Bill Britton, 1951, pp 108. 13. According to Henry Hart Milman, in his History of Christianity (Harper & Bros., 1844), p. 209, classic Gnosticism taught: “The Christ… the Emanation from the Pleroma, descended upon the man Jesus at his baptism…. Before the death… of Jesus, the Christ had broken off his temporary association with the perishable body of Jesus, and surrendered it…. [T]he whole union with the material human form was an illusion upon the sense of men; it was but an apparent human being, an impassive phantom, which seemed to undergo all the insults and the agony of the cross.” Milman (p. 212) notes that the Gnostics referred to Jesus as the Paraclete, meaning as a spirit. Dr. Orrel Steinkamp, who has researched the Manifest Sons of God eschatology for several decades, confirms that it is closely akin to Gnosticism. 17. “Second Pentecost,” Ibid, citing Tricia Tillen’s report: “The Source and Goal of the Second Pentecost,” (UK: Banner Ministries, 1994). 18. These aberrations in the doctrine of the Trinity will be the topic of a future post by Pastor Larry DeBruyn. 21. Misapplying verses such as 1Cor. 15:24-28, e.g. See explanation of their dominionism teachings here: http://herescope.blogspot.com/2011/09/who-invented-dominionism.html, http://herescope.blogspot.com/2011/11/dominion-entering-into-new-season.html, http://www.discernment-ministries.org/ChristianImperialism.htm and follow the many links. 24. For a thorough, biblically sound treatment of the doctrine of the Holy Spirit, read J.C. Philpot's excellent work, “Meditations on the Person, Work, and Covenant Offices of God the Holy Spirit” published in his book Meditations: On Matters of Christian Faith and Experience: Vol. 1, Old Paths Gospel Press, 406-466-2311. 28. George Warnock, The Feast of Tabernacles, pp. 14-20. 29. George Warnock, Ibid, p. 104, 109, cited by Jewel van der Merwe in her Discernment Newsletter article “Latter Rain and the Rise of Joel’s Army,” Oct.-Dec. 1994. 32. Tricia Tillen, Ibid, summarizing contents of Warnock’s The Feast of Tabernacles book. Tillen was an early research on how the Latter Rain/MSOG teachings were coming into the mainstream via IHOP, Vineyard and what is now known as NAR. 35. Earl Paulk, Held in the Heavens Until... 1985, p.234, as cited by Sandy Simpson in his article “Pre Millennial And Post Millennial Doctrines Do Not Mix,” http://www.deceptioninthechurch.com/premilpostmil.html, Emphases added. 36. Earl Paulk, The Proper Function of the Church (Atlanta: K Dimension Publishers, undated p. 13. Cited in Dr. Steinkamp’s article “Second Pentecost,” http://www.deceptioninthechurch.com/secondpentecost.html, emphasis added. 38. Discernment Newsletter, Ibid, July 1990. The tapes of the 1989 Vineyard conference are on file. The September 1990 Discernment Newsletter mentions a few of the attendees at this conference, which included Paul Cain, Bob Jones, Mike Bickle, John Wimber and many other prominent leaders. 43. Bill Britton, Jesus, the Pattern Son (Springfield, MO, 1966), pp. 36-40. Bill Britton, Eagle Saints Arise, cited in Discernment Newsletter, Oct.-Dec. 1994. 45. Travers and Jewel van der Merwe, “A New Age or an Old Lie?” Discernment Newsletter, July 1990 (Vol. 1, No. 3). For history and doctrine see their books Strange Fire: The Rise of Gnosticism in the Church: http://www.discernment-ministries.org/StrangeFire.pdf and Joel’s Army: http://www.discernment-ministries.org/JoelsArmy.pdf. Jewel van der Merwe (now Grewe) grew up in a home where her parents were part of all this early history. She and her first husband set up Discernment Ministries specifically to warn the evangelical world about these old cult doctrines she had grown up with. Hence our personal familiarity with both the old and the new Latter Rain/MSOG teachings. 47. Discernment Newsletter, July 1990 (Vol. 1, No. 3). Discernment Newsletter, Ibid, July 1990. 50. Travers and Jewel van der Merwe, “If It Talks Like A Duck and Acts Like A Duck,” Discernment Newsletter, October 1990 (Vol. 1, No. 6). The tapes of the 1989 Vineyard conference are on file. Emphasis added. 53. “FIRE On You,” Ibid. Transcription of a November 1998 airing of This Is Your Day. 56. “FIRE On You,” Ibid. 58. Francis Frangipane, The Days of His Presence (Arrow, 1996), pp. 21-22. Frangipane defines “glory” in his footnotes as “the manifestation of the Lord’s actual Presence” (p. 147, notes on Chapter 2, emphasis added). 59. Frangipane, Ibid., p. 31. Emphasis added. 60. Frangipane, Ibid., p. 32. 61. The Gnostics taught that the “Pleuroma, the fulness of the Godhead, expanded itself in still outspreading circles, and approached, till it comprehended, the universe. From the Pleroma emanated all spiritual being, and to him they were to return and mingle again in indissoluble unity.” Milman, Ibid., p. 208, emphasis added. 62. Frangipane, Ibid., p. 33. 63. Frangipane, Ibid., p. 35-36. 65. Frangipane, Ibid., subtitle p. 46. 66. Frangipane, Ibid., pp. 47-48. 67. Frangipane, Ibid.,. p. 49. Emphasis added. 68. Frangipane, Ibid., p. 51. Emphasis added. 69. Frangipane, Ibid., p. 55. Emphasis added. 70. Frangipane, Ibid., p. 58. Emphases added. 72. Frangipane, Ibid, p. 61. 73. Frangipane, Ibid., p. 95-97. Note that in a “Questions” section in the back of the book, Frangipane states that the “day of Christ’s Presence is not a doctrinal substitute for the rapture of the church. The Lord Himself, in His glorified body (not just His Spirit), shall physically return to the earth both to receive His church and to judge the world.” Here we can see evidence of the double-speak that accompanies much of this endtime teaching. 74. Frangipane, Ibid., p. 62. Bold added. 77. Frangipane, Ibid., p. 143. 79. John Owen, An Exposition of the Epistle to the Hebrews, Vol. 6 (reprinted by Banner of Truth Trust, 1991), pp. 413-415.